Provides comprehensive information for internal auditors, in-house counselors and corporate security professionals. 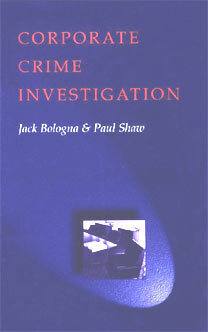 Contains valuable information on techniques like forensic accounting, polygraph and arrest. Presents important discussions on rights to privacy. Corporate Crime Investigations is a reference tool for internal auditors, in-house counsel and corporate security professionals who handle crimes, torts and breaches of contract. The crimes involved may include employee fraud, theft, embezzlement, forgery, commercial bribery and property destruction. Breaches of ethnics codes, fiduciary duties and company policies incidental to these acts are also included. Corporate Crime Investigations also includes important information on privacy rights of the suspicious individuals. Lying, cheating and stealing - is is still the same?